Food, medicine, doctor visits. If you don’t have access to wheels to get around Flint, you might as well be orbiting Saturn. Ed Benning, CEO of the city’s Mass Transportation Authority (MTA), came up with ways to get residents rides where they needed to be and has been recognized for his efforts. 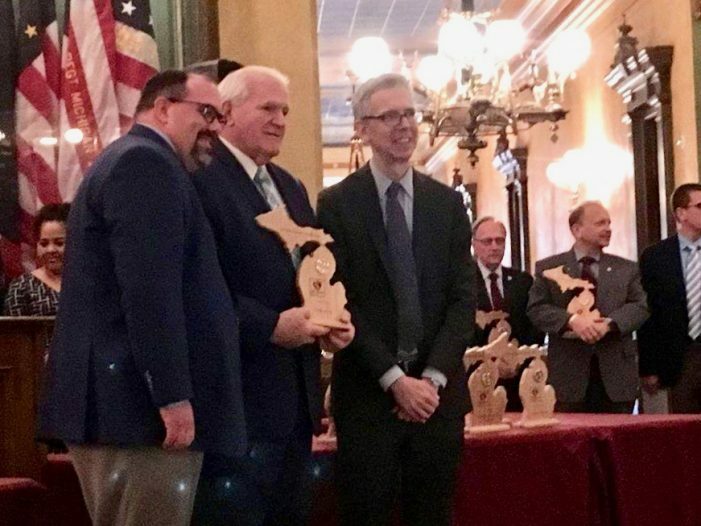 He has received a 2019 Hometown Health Hero award from the Michigan Public Health Week Partnership. The awards honor those who tackle healthy communities, violence prevention, rural health, technology and public health and climate change. They are presented very April as part of Michigan’s Public Health Week. Benning reached out to local partners, took Flint’s nickname “Vehicle City” to heart and created Rides to Groceries, Rides to Wellness and Rides for Veterans. When Benning’s fellow citizens had trouble getting nutritious food along came Rides to Groceries. The service gets people to healthy foods and full-service grocery stores in Flint. It also covers Clio, Davison, Fenton, Flushing, Flint East, Flint West, Grand Blanc, Mt. Morris, Otisville and Swartz Creek. The Vets to Wellness program is a partnership between the MTA, Genesee County and the Genesee County Department of Veterans Services. It offers health and wellness related transportation to Genesee County Veterans and their spouses. Spouses who are in need of transportation must contact the Department of Veteran Services at 810-257-3068 to establish eligibility. The service will be available for door to door pick up to appointments, grocery store and even VA hospitals in Saginaw, Ann Arbor and Detroit. Benning also was instrumental in dealing with the water crisis. He directed the MTA to transport workers and supplies into neighborhoods and turned MTA locations into water storage and distribution centers.